The Brookings Institution is one of the oldest Washington’s think tank and the first one devoted to research and analysis on economics, foreign policy, governance, and metropolitan policy. 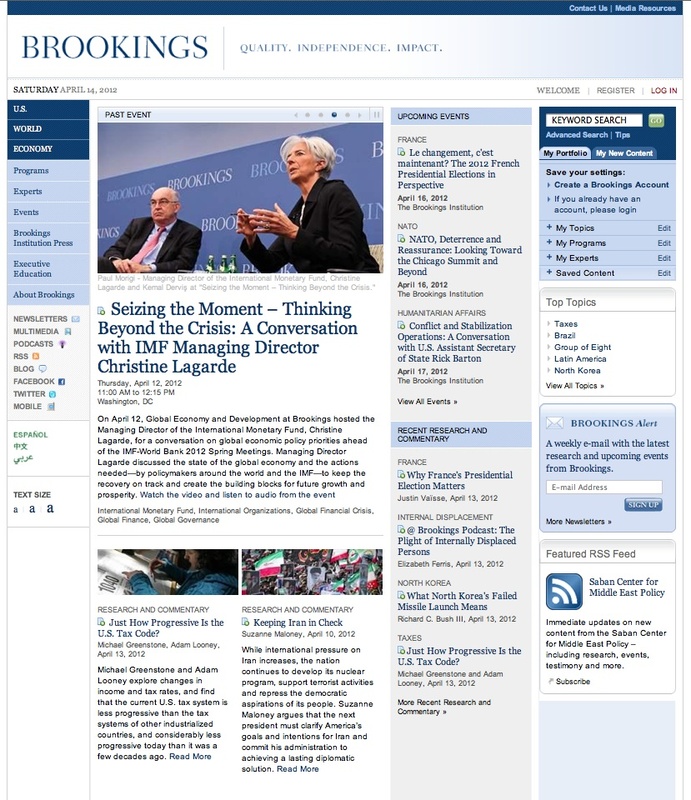 More than 300 scholars in several research programs, nine specialized policy centers, and more than forty research projects, do research on key contemporary issues and write books, papers, articles, and opinion pieces, whose results are published (about fifty books a year) by Brookings Institution Press. The Brookings website is completely open and free and provides, for each research topic, program and project lists, contents and info about works in progress and scholars, as well as lengthy descriptions of related books published by Brookings. A Books-Online program offers online access also to full-text versions of a growing list of titles for a total amount of several thousands records. Other materials (papers, articles, interviews, etc…) are freely full-text retrievable usually in pdf format, sometimes also in video/audio format. Users can also subscribe to several mailing or alert lists as well as participate in discussion forums on various topics.